If you haven't started using visual schedules yet, you seriously need to! They provide so many benefits for kids on the autism spectrum! 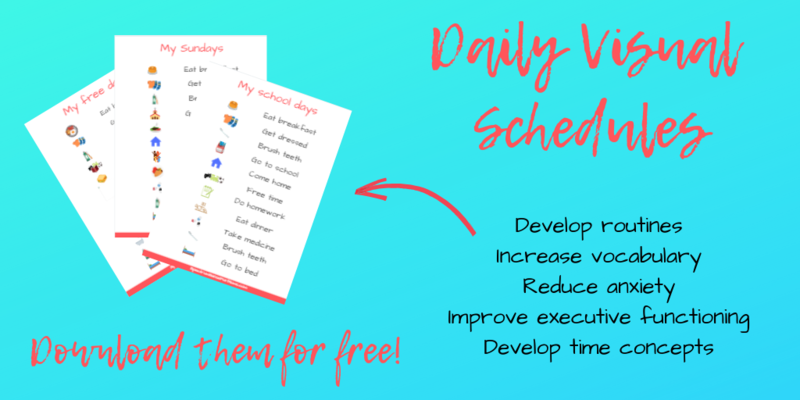 Enter your name and email below to download 3 daily visual schedules for free! Here's your free download! Make sure you check your email and confirm your subscription, so you get my other cool freebies, updates, and helpful tips in the future! Want to join my exclusive FaceBook group for autism moms? Click below to join!